Say you’re one of those souls who loves blue jeans, expensive blue jeans for which you’ve somehow managed to rationalize spending $100, $150 or more. And say those beloved jeans tear. An iron-on patch just won’t cut it. Number 1 Cleaners is the place for you. 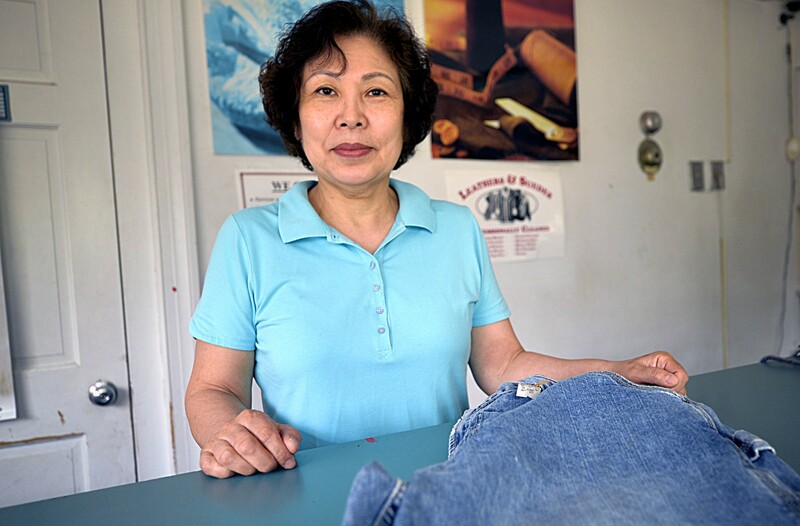 Jae Kim opened the store at 3401 Patterson Ave. 10 years ago. He has another at 2227 Park Ave. He’ll take your jeans to his mother, who sews on patches that not only look great but also are miracles of endurance. And the sweetest thing, of all? It’ll cost you six bucks.